Bloyer Well and Pump Inc.
At Bloyer Well and Pump Inc., we understand water systems. 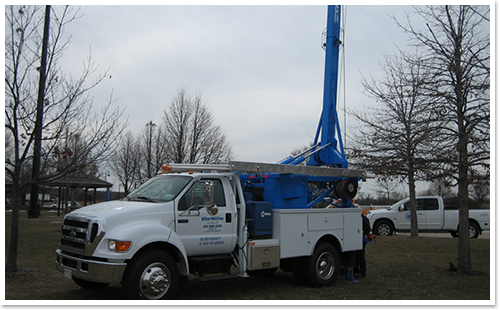 In fact, we’ve been servicing south central Wisconsin and northern Illinois since 1952. We’re proud to be a trustworthy, family owned and operated business passed down for three generations. Let our experience and knowledge assist you on all your water system needs. We are your full water system service solutions offering Residential, Commercial and Agricultural customers water testing, well drilling, well pumps, well tanks, geothermal services, water systems and trenching. We are licensed, insured and bonded in Wisconsin and Illinois. © Bloyer Well & Pump, Inc. All Rights Reserved. Bloyer Well & Pump, Inc.
Our service areas include Beloit, South Beloit, Rockton, Harrison, Shirland, Roscoe, Hunter, Argyle, Caledonia,Crestview, Foxhollow, Porters, Newark, Afton, Shopiere, Clinton, Sharon along with the surrounding areas.